There are some recipes that are just so simple and so brilliant that they can be overlooked when searching for something yummy to bake. 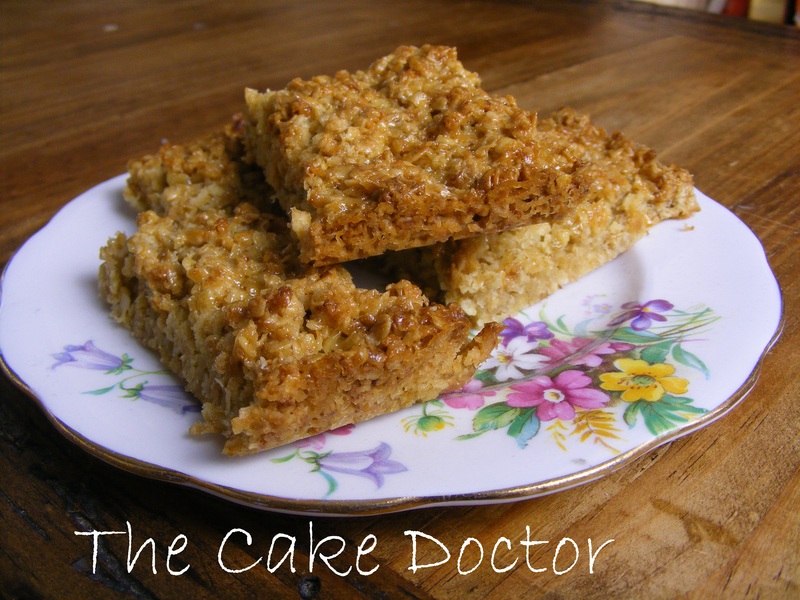 Flapjacks is one of those recipes. Yes, I know they are not the healthiest of snacks but I’m not suggesting you eat the entire batch to yourself and they keep really well in an airtight container. I love the fact they are so versatile too. The ones in the photo are plain ones because my son is culinary challenged but I love them with a handful of glace cherries in, or a bit of coconut, topped with melted chocolate or with a bit a cinnamon and raisins in. I’ve even chopped up an eating apple and thrown that in too. This is a very forgiving recipe. Melt the margarine, syrup and sugar together in a large saucepan. Add the rolled oats and any extra ingredients. Stir it well and tip into the tin.